Nearly half of all child deaths under the age of five occur within the first month of their lives*, despite marked improvement over the past 30 years. That’s about 2.6 million babies a year. More than 7,100 a day. 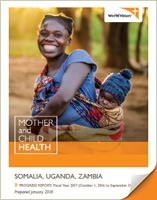 World Vision is committed to decreasing preventable neonatal and maternal mortality, and our mother and child health initiative is already making real and sustainable impact in Somalia, Uganda, and Zambia. The approach is working for three main reasons: it’s targeted, it’s grass-roots, and it’s integrated. In a nutshell, we focus on educating women, delivering basic health and nutrition information through trusted local health workers, enabling access to essential health services, and improving health facilities. On World Health Day, we celebrate the progress being made and the donors and partners who make it possible for the work to continue. 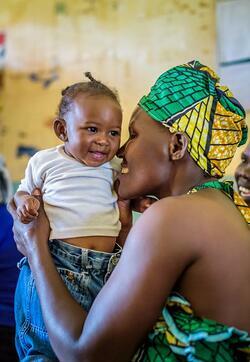 World Vision concentrates on the first 1,000 days of life — from conception to a child’s second birthday. Why? Because a woman’s health during pregnancy is critical to her baby’s growth. In addition, an estimated 80 percent of human brain development occurs during the first 1,000 days. The strategy is based on medical evidence and a cost-effective set of minimum practices for pregnant women and for children up to 24 months. During the nine months of pregnancy, World Vision educates and helps women to eat the right foods; take iron and other supplements; prevent infections and treat malaria and HIV, which could be transmitted to their child; get quality medical care; and deliver their baby with the help of a skilled birth attendant. For babies, essentials include proper care and sanitation at birth; handwashing with soap; exclusive breastfeeding for the first six months; a good diet supplemented by Vitamin A and adequate iron; full immunizations, and access to prevention and care for malaria, diarrhea, malnutrition, and respiratory infections. To maximize our ability to get education and treatment out to mothers and babies - even in the most remote areas - World Vision trains and equips thousands of local community health workers who go from hut to hut teaching families the importance of nutrition, vaccinations, safe water and hygiene, prenatal care, and delivering babies in a health facility. The grass-roots nature of this approach engenders trust and enables sustainability in the communities. According to the World Health Organization, 830 women die every day from preventable causes associated with pregnancy and child birth. And millions of women still give birth in unsanitary conditions at home or in dirty, underbuilt facilities that operate without power or running water. The problem is most prevalent in sub-Saharan Africa. In Somalia, for example, a woman is 47 times more likely to die during childbirth than a woman in the U.S.
We improve health facilities with clean water, electricity, latrines, hand-washing facilities, and cleaning supplies. We train nurses and midwives so they can handle difficult births. 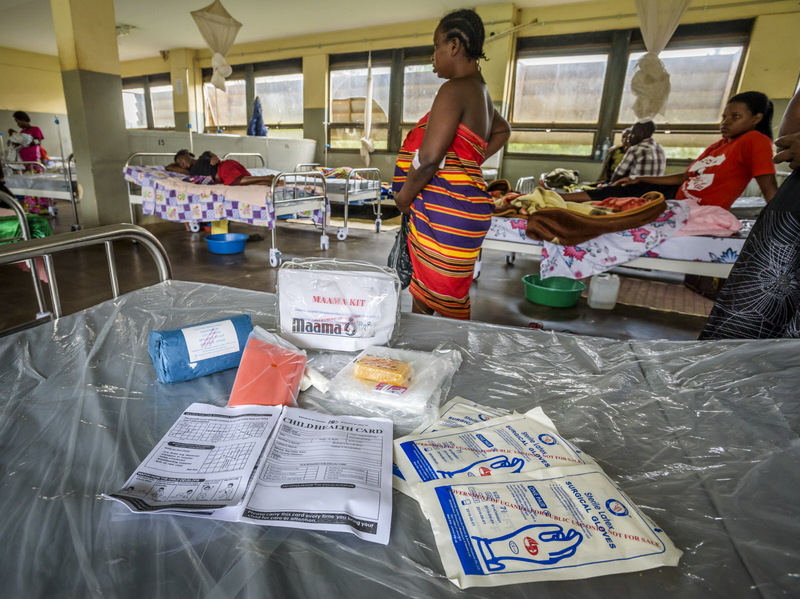 We provide Maama Kits with vital sterile materials needed for a safer delivery. We ground our community work in faith by educating faith leaders on the importance of family healthcare and nutrition, so they can reinforce the message of caring within their congregations. Review our most recent annual progress report for the Mother and Child Health Signature Initiative. Families and communities are changed for the better — and empowered to create more change — when they see healthy women deliver healthy babies who don’t just survive, but truly thrive. 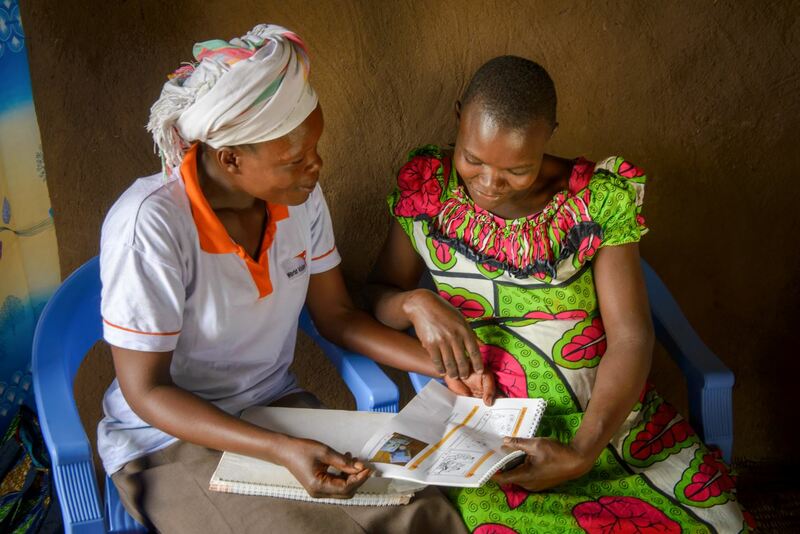 In Uganda, after a year of World Vision’s intensive Mother and Child Health Signature Initiative, the percent of mothers who delivered their babies in a health facility increased from 55 percent to 71 percent. The initiative is also improving immunization rates, treating and preventing malnutrition, and ensuring healthy childbirths in Uganda, Somalia, and Zambia. Every newborn baby is a miraculous gift from God. And with the generosity and commitment of our donors and partners, World Vision will continue to make mothers’ hopes and dreams for healthy babies a reality. 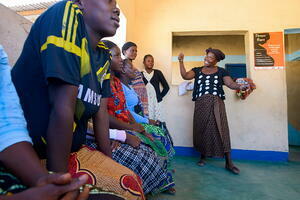 Nurse Agnes in the old Kanchomba Clinic in Zambia where she has been working for more than a decade. 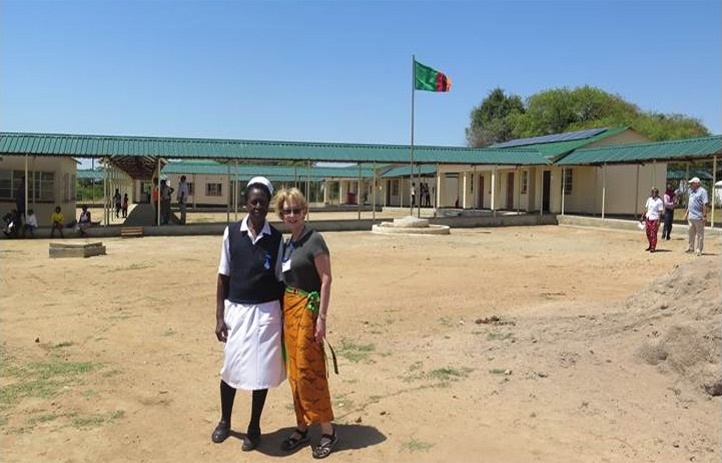 (©2016 World Vision/photo by Jon Warren) Nurse Agnes in front of the new Kanchomba Clinic built by World Vision with solar electricity, piped water, more beds and treatment rooms, and even staff housing (pictured with dedicated World Vision donor partner Laura Abernathy).